Growing up in Jamaica you could always find an herb or plant in your yard or at the market from which to make a tisane to refresh your body or spirit. Here I talk about the most common tisanes, also known as bush teas, from my childhood as well as the tisanes I drink as an adult living in the U.S. Image: Momordica charantia, bitter melon fruit splitting open by H. Zell via Wikimedia Commons. Tisane is a French word by way of Greek and Latin and is also known as a herbal tea. There is no tea, i.e. Camellia sinensis, in a herbal tea or tisane. Instead, a tisane is made from various parts of a wide variety of plants. In Jamaica, "bush tea" was the colloquial phrase for tisane. When I was a child, I never heard the word tisane, and I wager that this was the case even outside Jamaica. The most popular Jamaican bush tea, at least when I was a child, was made from the plant Momordica charantia, locally known as cerasse. You may know the fruit as bitter melon. The leaves of the plant were used to make tea - steep the leaves in boiling water. It was a bitter brew but it did seem to ease many, often gastrointestinal, ailments. Image: Fleur d’Hibiscus rouge, utilisée pour le Bissap by Olivier Epron via Wikimedia Commons. Another common Jamaican bush tea was sorrel. I know this remains the case because you can find sorrel on the menu of many Jamaican and Caribbean restaurants in the U.S. There is sorrel and then there is Jamaican sorrel. The garden variety sorrel is Rumex acetosa and is used as a leafy green. 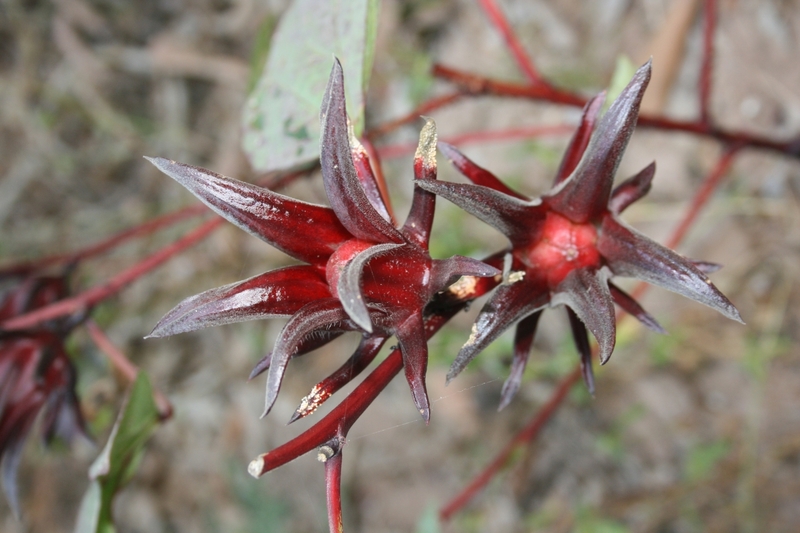 The sorrel used to make the drink of the same name is dried hibiscus (Hibiscus sabdariffa). This was my favorite drink as a child. Maybe it was available year round but I only remember drinking it at Christmastime. I've never made the drink but I trust recipes from Global Table Adventure; here's Sasha Martin's Jamaican Sorrel Drink recipe. Ginger is one of the ingredients. Ginger plays a companion or starring role in many bush teas. I distinctly recall a case of food poisoning as an adult for which my mother administered a ginger concoction. Effective. You can imagine that mint is also another go-to bush tea. According to Jamaicansdotcom, fever grass (aka lemongrass), soursop leaf, and dandelion are common bush teas. These don't ring a bell but I can attest to the deliciousness of the soursop fruit (Annona muricata). The prickly skin of the fruit is off-putting but inside is a delightfully tart pulp. The sweetsop (A. squamosa), its cousin, is equally delectable but with a sweet, creamy fruit. It is known as custard apple. My mother confirmed cerasse, sorrel, and mint. She added the leaves of orange and lemon trees. My current days are full of teas of the Camellia sinensis kind but I do enjoy tisanes in the evening -- I am less tolerant of caffeine beyond the afternoon -- or when I am sick. One of my recent favorite recipes is the Chamomile Tea Latte by Oh, How Civilized. In terms of branded teas, I recommend Tahmina Saffron Rooibos, Tadin Tea Chamomile Honey, and Lifestyle Awareness Serene Slumber which is lavender based. Rooibos (Aspalathus linearis) is southern Africa's "bush tea." Rooibos is an Afrikaans word meaning "red bush" referring to the red color of the processed leaves though there is a less processed green rooibos tea. Rooibos is the tea drunk by one of my favorite fictional women, Mma (Precious) Ramotswe of the The No. 1 Ladies Detective Agency series by Alexander McCall Smith. The Republic of Tea has a line of teas named for the book series. In this Epicurious interview, McCall Smith discusses his tea preference and those of his Batswana characters. I haven't developed many tisane recipes of my own. 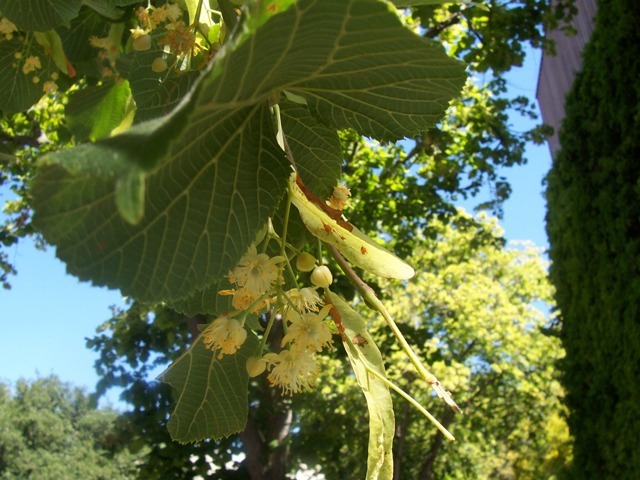 I have steeped foraged linden flowers. I'd like to collect rose hips to make a syrup tisane (or maybe a soda). I have to verify that the source has not been sprayed. The same location has juniper berries. I saw a blackberry-juniper soda on a menu but the restaurant was out of the soda when I went to lunch there this week. Other botanicals of interest include sumac (it's supposed to taste like lemonade!) and pine needles (a resinous cross between rose hips and chrysanthemum). Did you know I like trees? We will have a spot in the community garden again this and I am planning a tisane patch. Are you a frequent tisane drinker? Do you have any recipes to share with me? Hey fellow Jamaican! Funny I should fine another Jamaican blogging about tea. I've just decided to do the same! I love all "bush tea" except cerasse. Thanks for sharing. Hello Heather! Thank you for leaving a comment. Please share your blog URL. Hello, nice blog post about bush teas! I've been sick this week, and having a lot of lemongrass & ginger with lemon and a little honey. It was interesting to hear about some of the local plants in Jamaica. I grew up in Maine, and here we have a very common bush colloquially known as sweet fern. I think it is native to North-East U.S. and parts of Canada as well. Near my house it grows in large numbers on a plain with lots of low bush blueberries growing underneath. The aroma is pungent and somewhere in between that of mint and sage. You can make a bush tea from it, which I've done once or twice. I like it better to smell, though! Apparently it also was used by Native Americans and other settlers to line baskets and protect berries while foraging.